Hi guys! 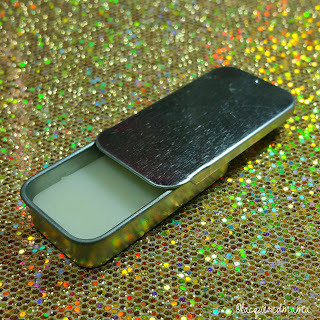 Today I have a non-polish review to share with you! Well, I guess it is still polish related sightly, since we all know healthy skin and nails are an important part of it! 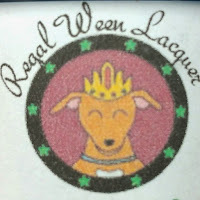 I have several bath & body type products from Regal Ween Lacquer to tell you about! Lavendar Solid Lotion is just that...a lavendar scented solid lotion bar! It's completely solid, but once it hits your skin, it instantly starts to melt and glides on just like lotion. This reminds me of the "solid" cuticle balms in the way it dissolves and applies. I am actually slightly sensitive to lavendar, but I decided to try it anyway...and hey, no hives! I applied a small amount to the backside of my hand first and waited 30 minutes just to be safe..haha. It made my skin really soft and had a light scent of fresh cut lavendar! 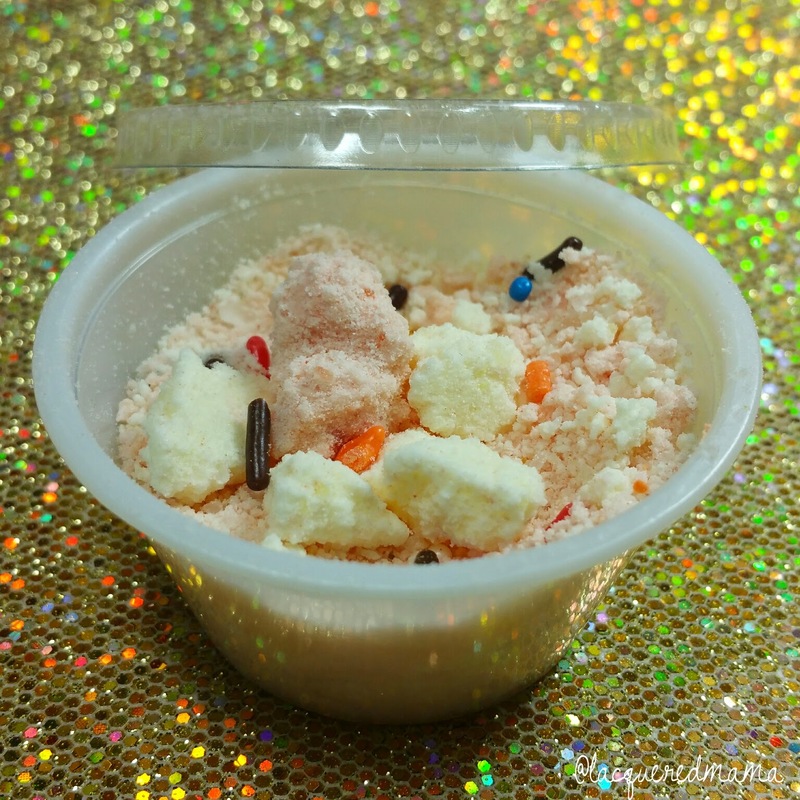 Fandom Fantasy Fizzies are small "mani bombs" that you add to a bowl of warm watter. As soon as the fizzie becomes wet, it'll start fizzing like crazy, filling the water with the oils and letting off a subtle scent. 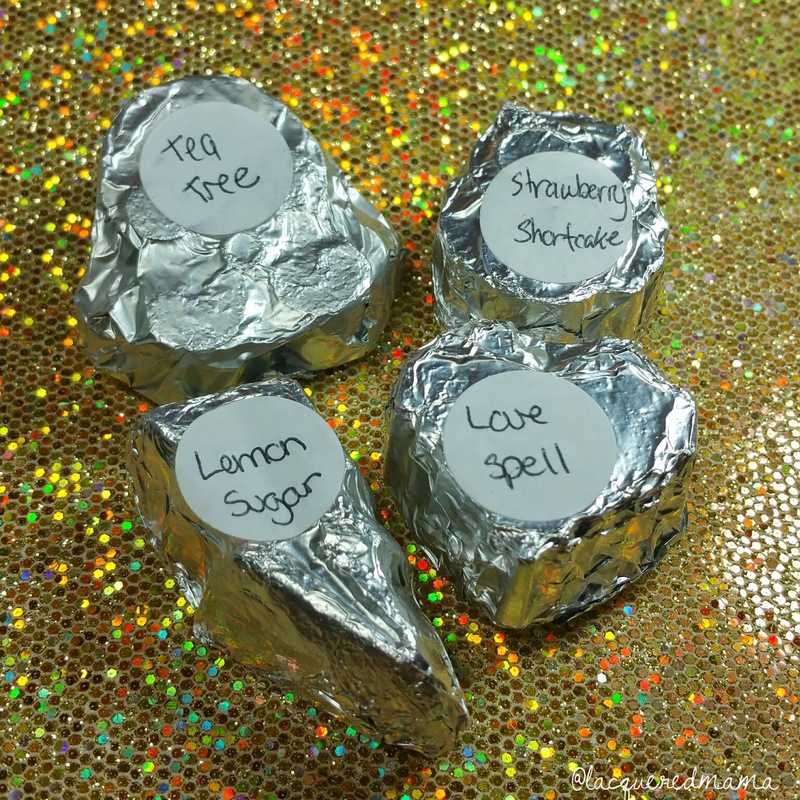 I have Tea Tree, Strawberry Shortcake, Lemon Sugar and Love Spell. I haven't used them all, but I did try the Lemon Sugar and it smelled amazing! I soaked my hands for about 15 minutes then patted them dry and let the remaining oils soak in for another 10 minutes while massaging my hands a bit. Then I lightly washed my hands and patted dry again. 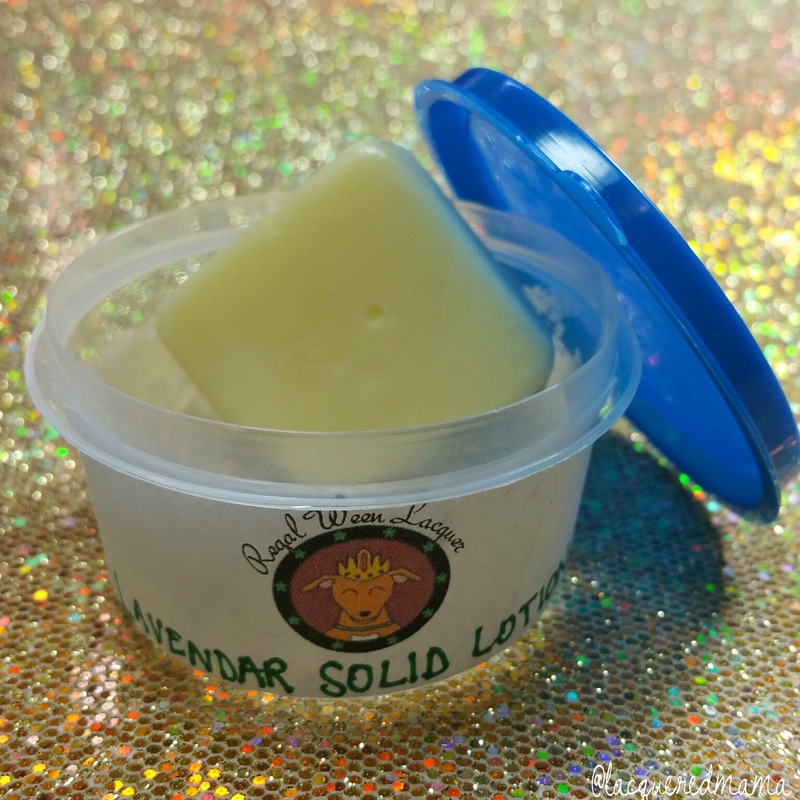 The smell was so refreshing and it left my skin really soft and healthy feeling! Sprinkle Dippers are basically the same as the fizzies, only they are crushed up. The directions state to take one teaspoon and drop it into the water as you would a fizzie. I have Strawberry Shortcake Lemon Sugar and though I haven't used this just yet, I will say that the smell was delicious! I am contemplating just using this in the bath and dumping the whole container in..haha! Argon Oil Cuticle Balm is solid cuticle oil in a small tin with a sliding lid. Very handy! Like the lotion stick, this melts with the heat from your skin. I simply rub my finger in it and massaged it around my cuticles and nails. Very hydrating and left no noticeable scent that I could tell. Overall I am really pleased with these products! They all worked just as they should and they are all very reasonably priced. Looking on their website, the items listed above range from $0.75 - $3.00. Not bad! In addition to the bath and body products Regal Ween Lacquer also creates fun nail polishes, so be sure to check them out at the links below for more information! 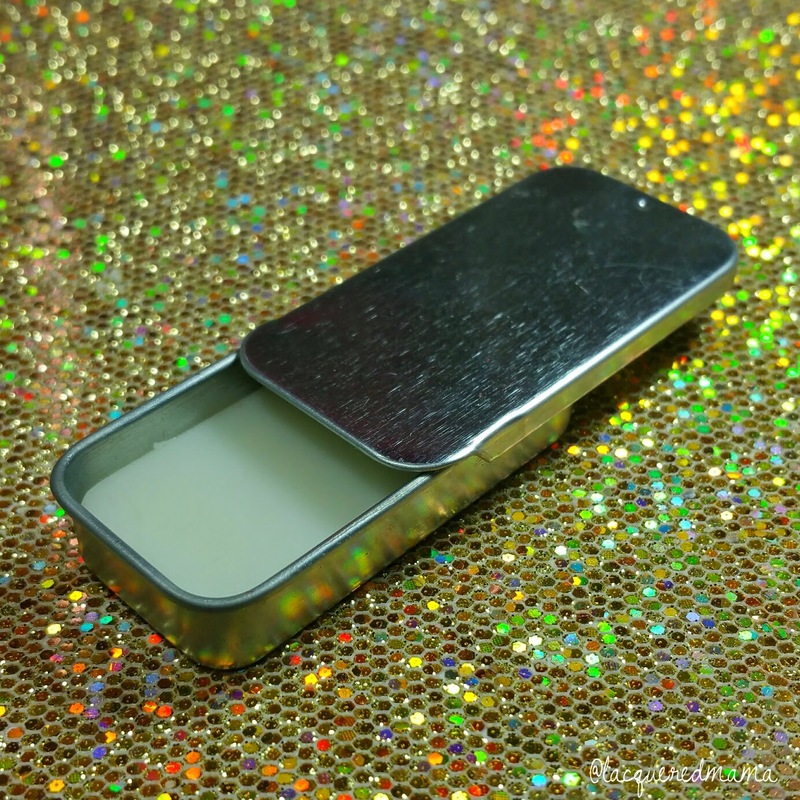 I love the tin the cuticle balm comes in! Those sprinkle dippers look awesome! 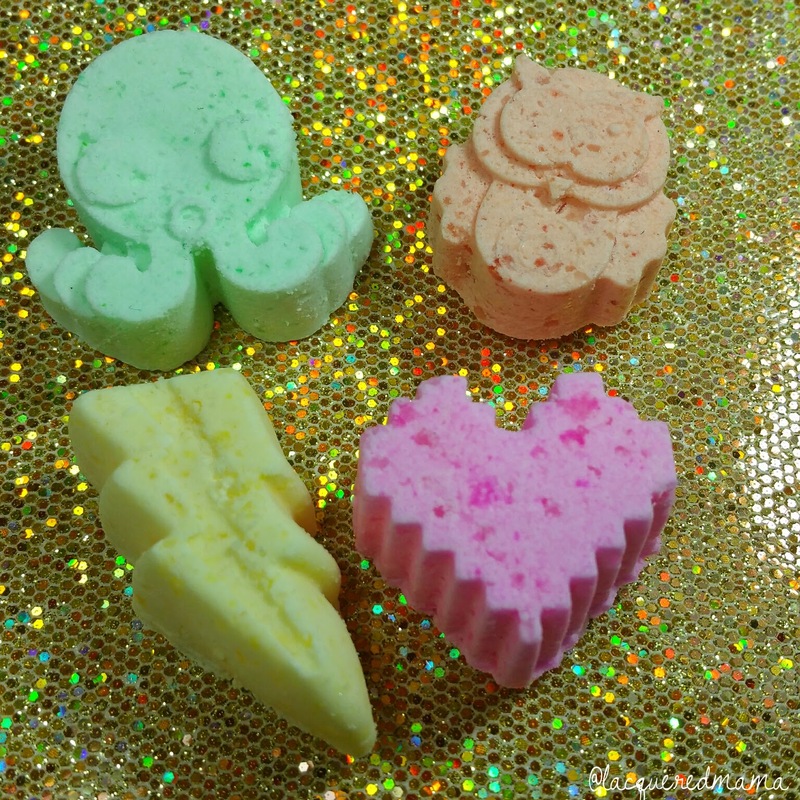 I've never used a mani bomb (or a bath bomb for that matter), but I can't resist cute products! I really like the cuticle balm packaging of all things! The mani bombs look fun too! I love the tin as well! I love the shapes of the mani bombs. Haha..I always drop the lids! Those Fantasy Fizzies are too adorable, I definitely would like to nab some of those! Thanks for introducing me to this brand. I am a sucker for bath products and for those prices I could really stock up! 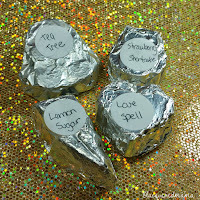 I LOVE the idea of a lotion bar. Very cool!